The BREEZE is a recreational harness with a simple design that fulfills the most diverse demands. 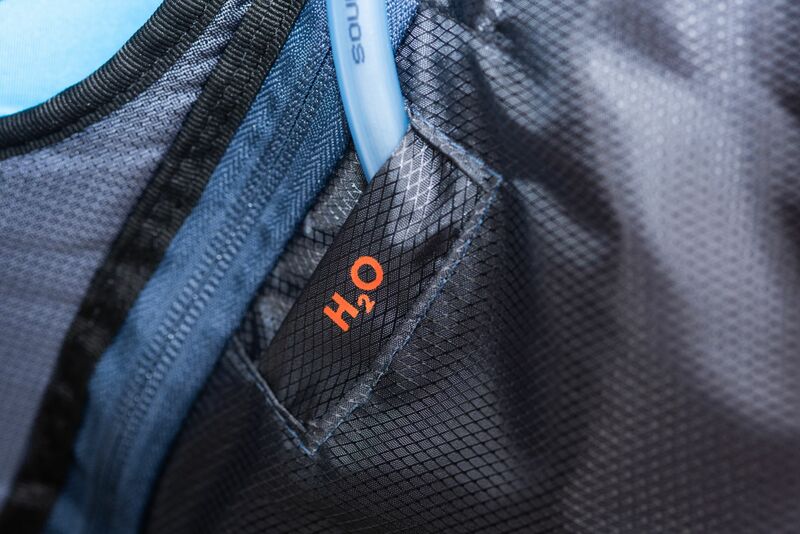 In short, it is: comfortable, safe, lightweight and modular! The BREEZE has no seat board. Its shell encloses the body perfectly and ensures maximum comfort. We chose a moderate height for the suspension points. In this way, the geometry allows an intuitive transmission of control pulses and weight shifting. Security was at the top of the to-do list for the BREEZE. 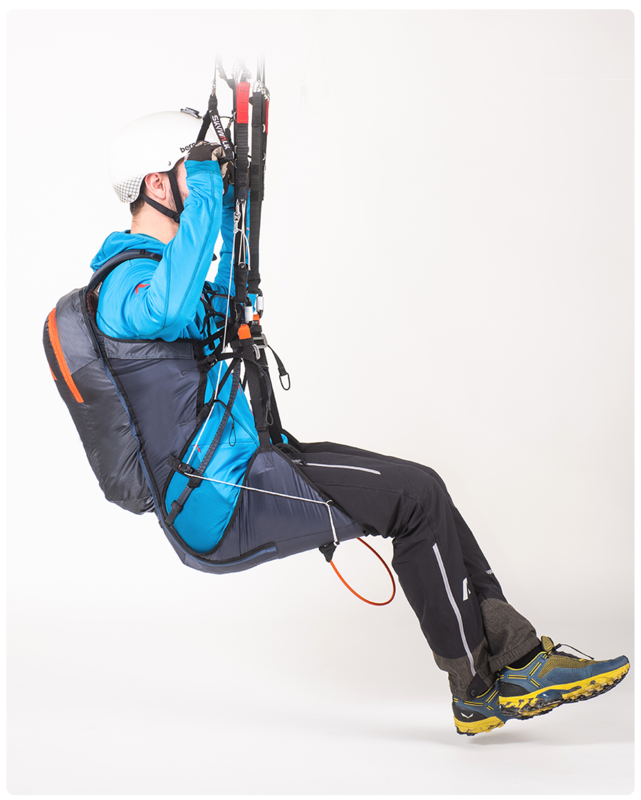 With this harness we are integrating the PermAir technology developed for the Red Bull X-Alps for the first time in a recreational harness. The permanant air protector combines the advantages of foam and ram air protectors. 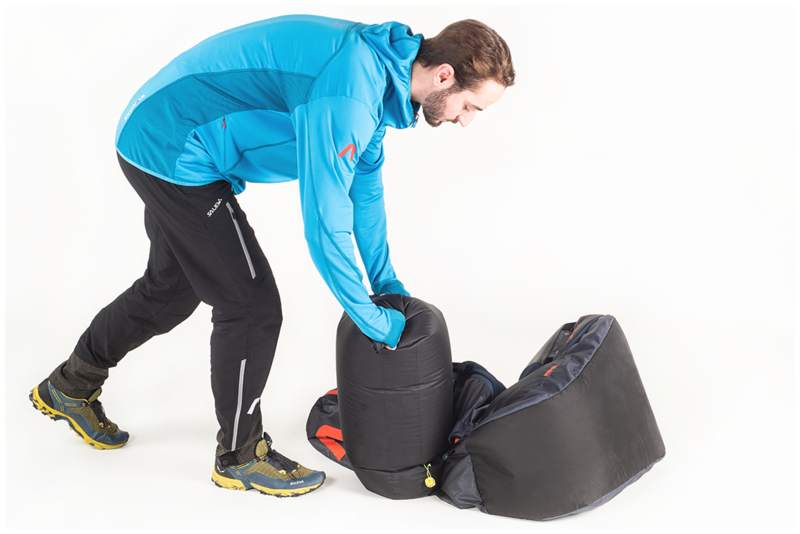 PermAir offers maximum damping with minimal weight and space requirements in the rucksack. 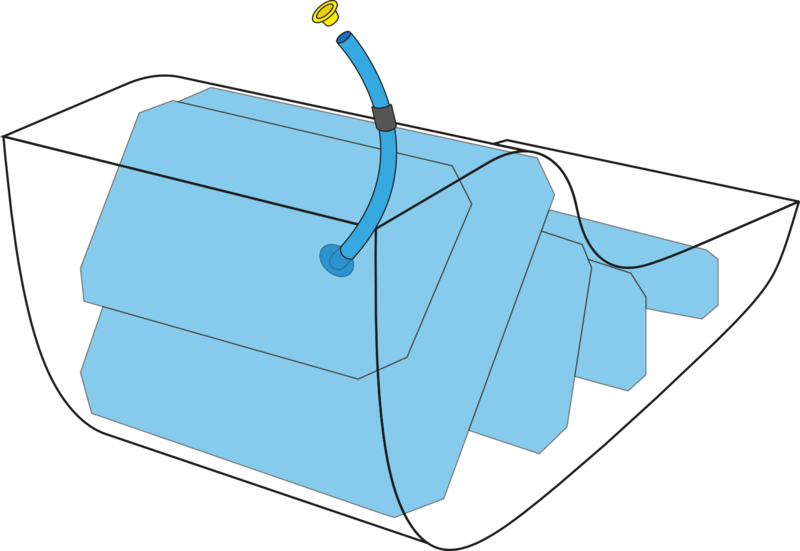 A large back storage compartment with attachment for a hydration pack and a removable cockpit provide ample storage space. 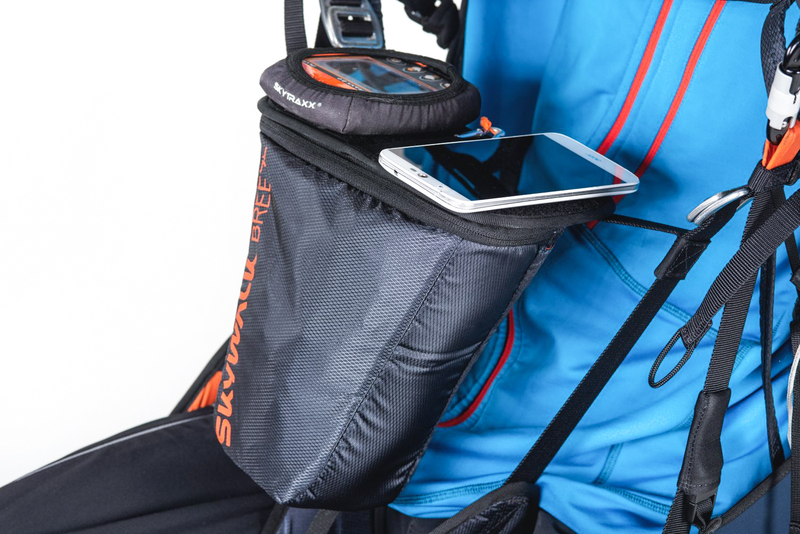 The modular design of the BREEZE makes it possible to separate the cover from the seat shell. 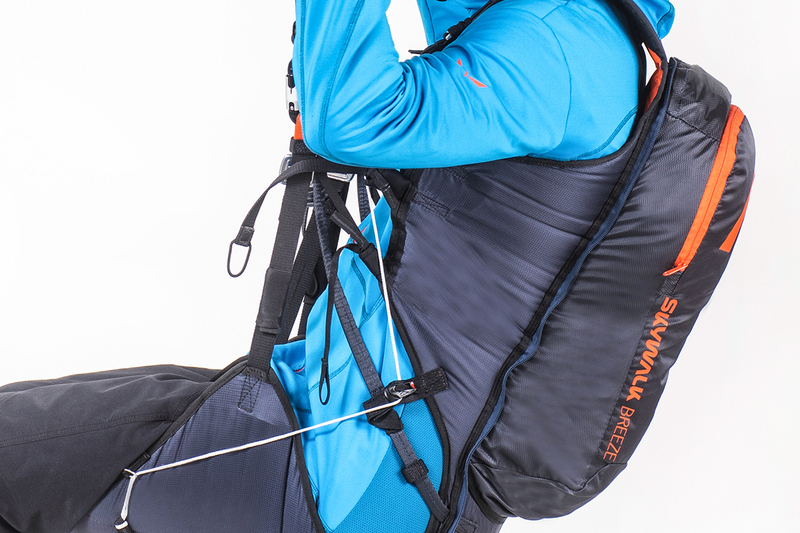 That converts the PermAir LINE to the PURE LINE and drops the weight of the already lighweight harness about 50%. >> The basic concept of PermAir technology is an ingenious system consisting of several cells with the possibility of pressure equalization. With the BREEZE we are integrating the PermAir technology in a recreational harness for the first time. PermAir combines the advantages of both foam and ram air protectors. PermAir provides maximum damping with minimum weight – even during takeoff. >> Our PermAir protector is DHV tested and has a deceleration value of 31g at 100% inflation capacity. 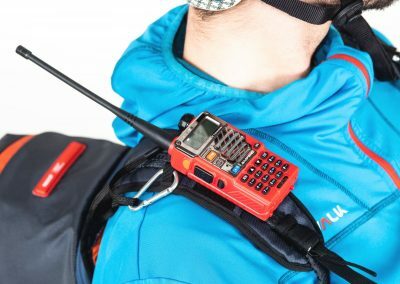 However, it has a high tolerance range and even when inflated to only 50% capacity has a deceleration value of 36g (we recommend that the protector always be inflated to 100% capacity!). 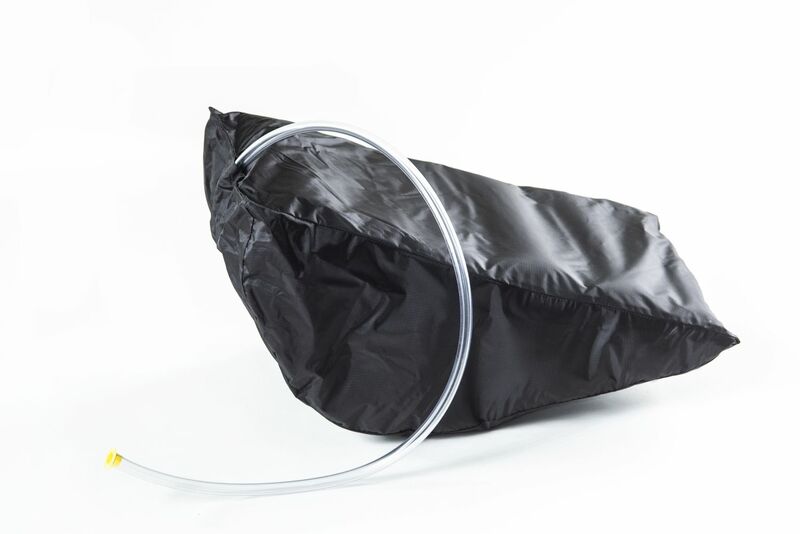 The Inflation Bag serves not just as a storage bag, but also as a bellows for inflation. Just one shot of air and the protector is fully filled! 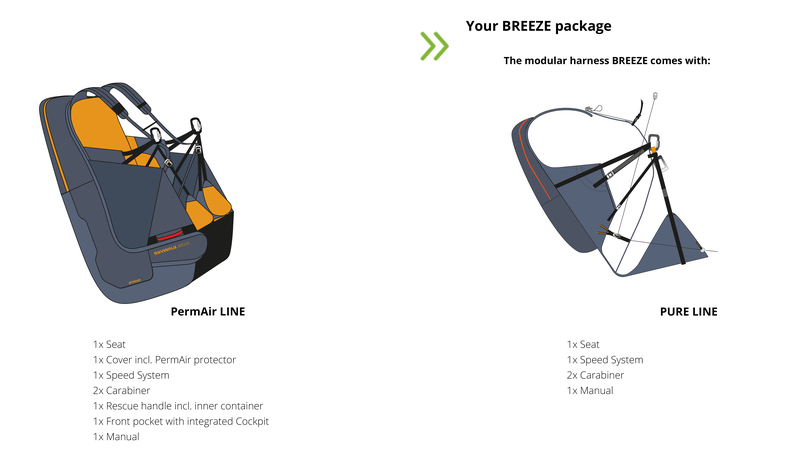 The BREEZE features a unique modular design. 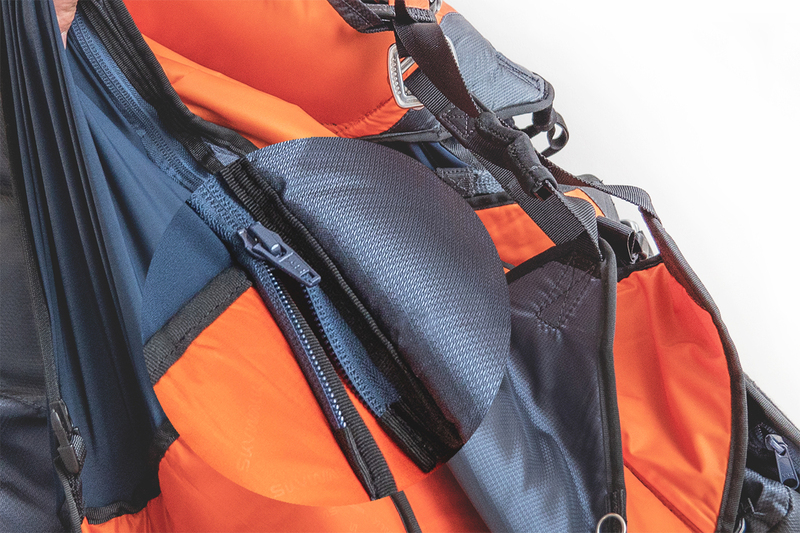 When in the PermAir LINE, the BREEZE offers plenty of protection during takeoff thanks to our PermAir protector, making it ideal for beginners or schooling. 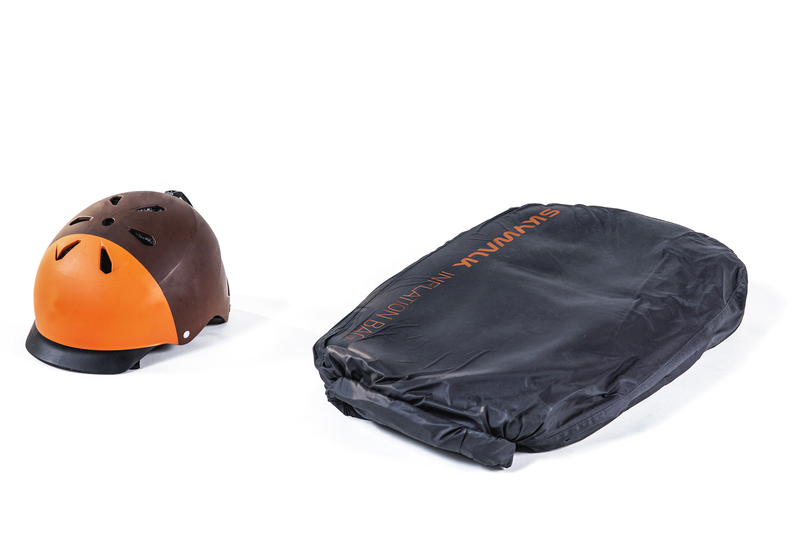 The cover, including protector, can be separated from the seat in less than a minute. >> In just a few steps the BREEZE can be transformed from the PermAir LINE to the PURE LINE. 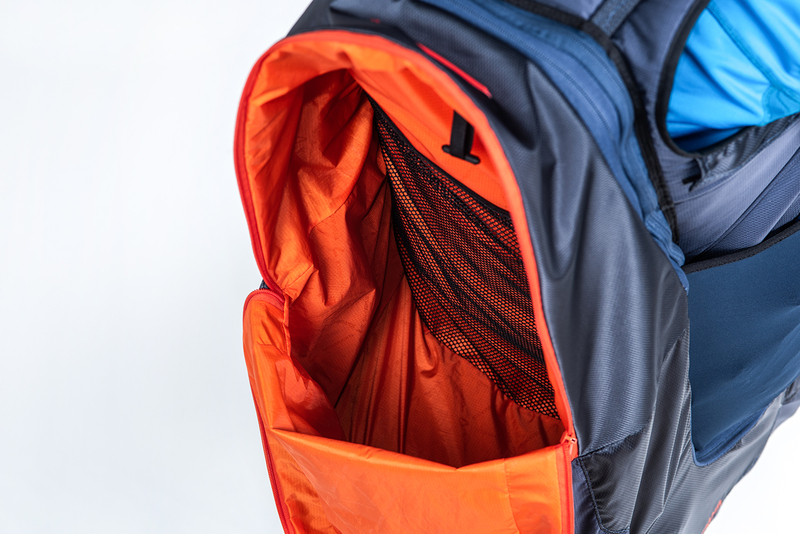 The PURE LINE of the BREEZE is equipped with a small back storage compartment that offers 15l of space to store your lightweight backpack – such as our HIKE packsack – and other equipment! 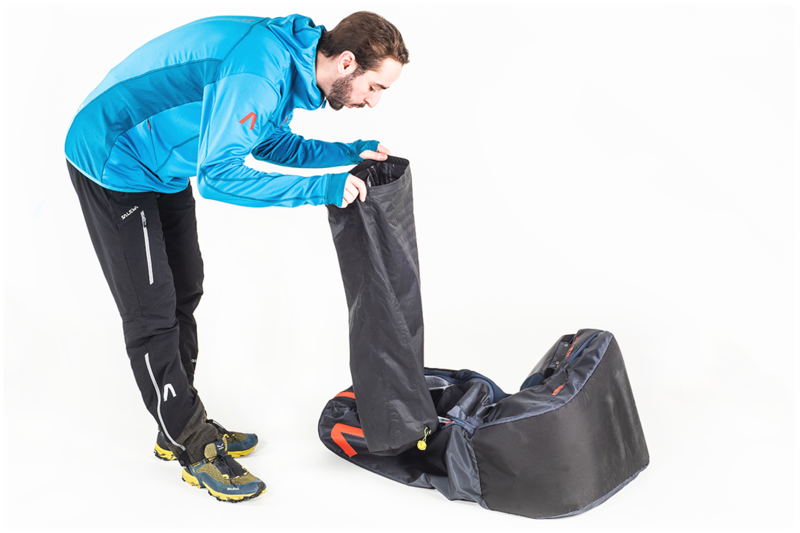 Thanks to our PermAir technology the BREEZE can be reduced to an extremely small packing size, which can be even further compressed by using the Inflation Bag. 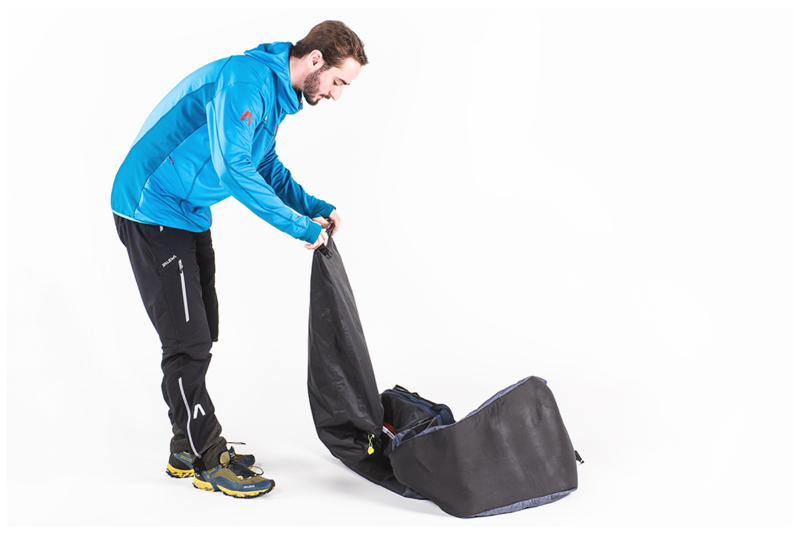 >> The Inflation Bag is not just for inflating the protector. 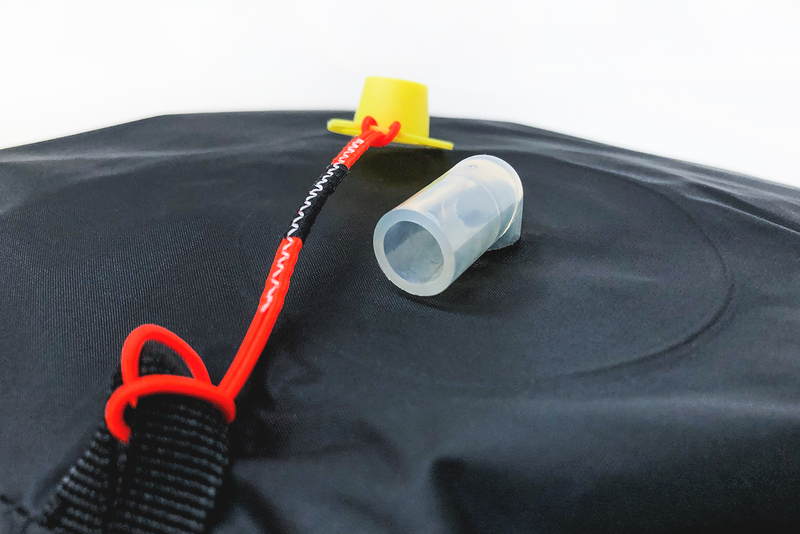 With the protector packed in the bag, simply open the attached valve and apply pressure to squeeze any remaining air out and further compress the protector. 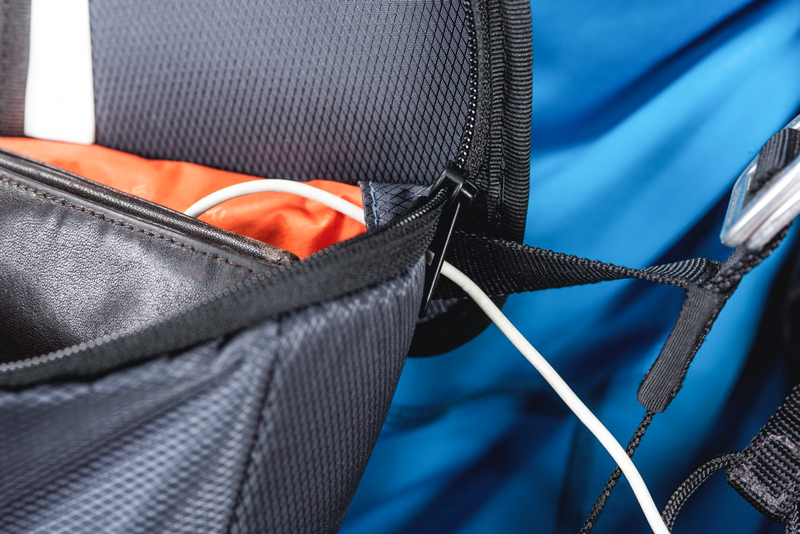 The pocket offers space for a camera, snacks or a battery pack and serves double-duty as a cockpit. The angle of the cockpit can be adapted to the visibility conditions! 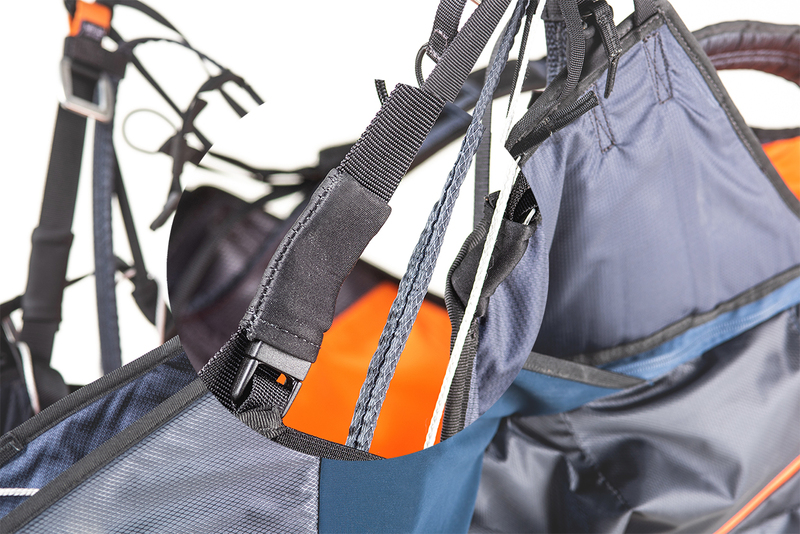 The back storage compartment in the PermAir LINE offers ample space as well as a sleeve for hydration bladder. 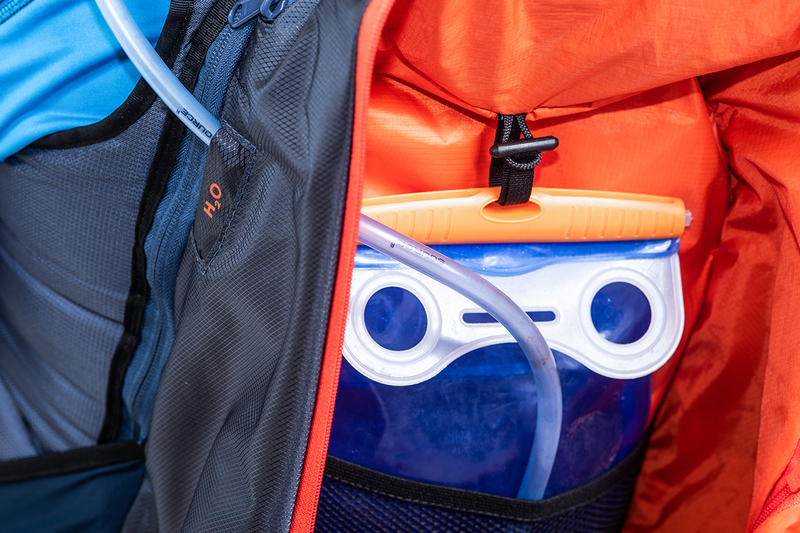 The back compartment in the PURE LINE offers about 15l of storage space for the most necessary equipment. International standard: The RECCO-reflector accelerates rescue operations and helps to safe lives. 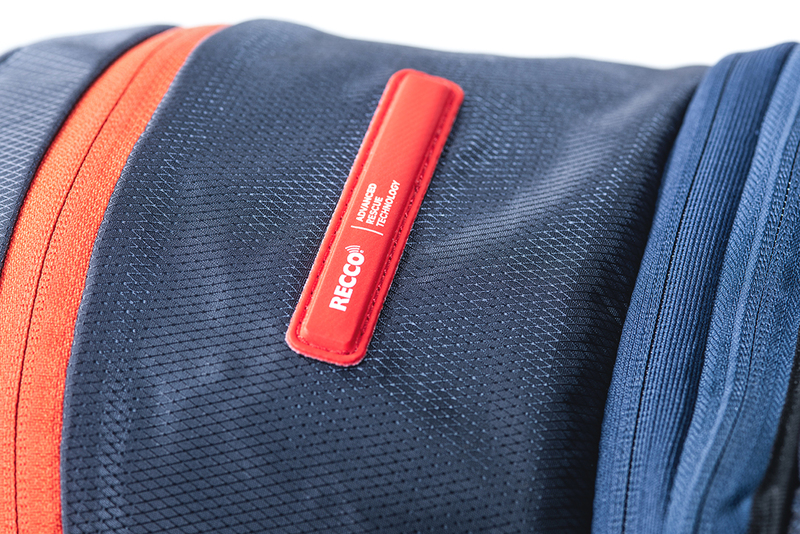 ⇒ More about RECCO here! BREEZE homologation report – follows! 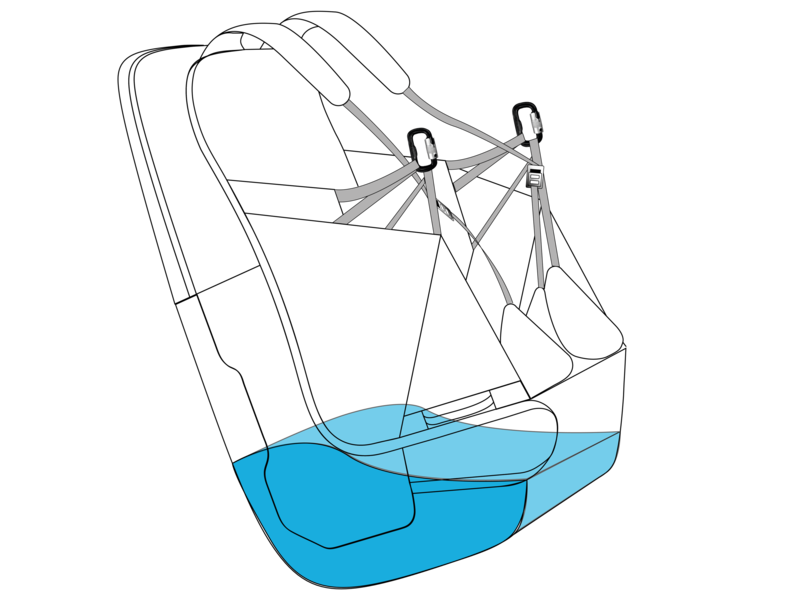 How does the harness affect flight behaviour? 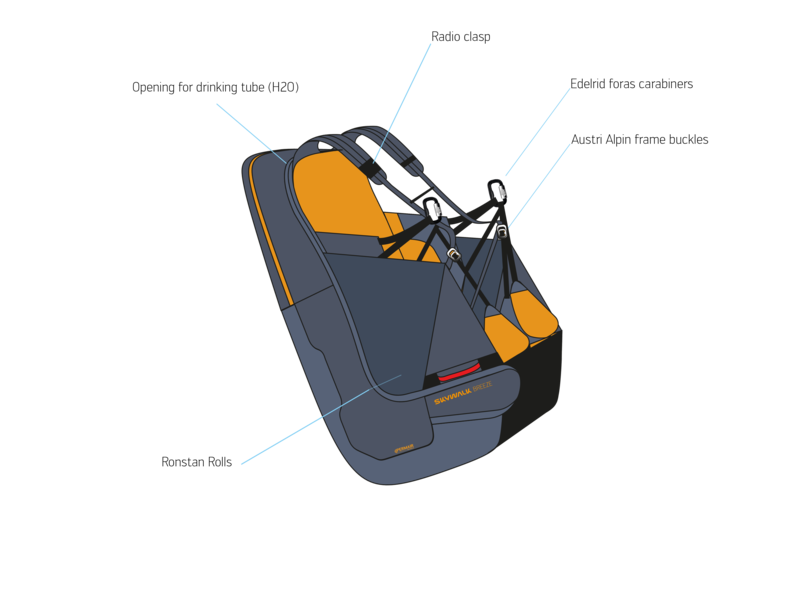 The BREEZE is a roll-stable harness that transmits the dynamic flight characteristics of your glider directly to the pilot, while filtering out the jostles caused by turbulence. This allows you to intuitively control your glider with subtle dynamics when in thermally-active air conditions. 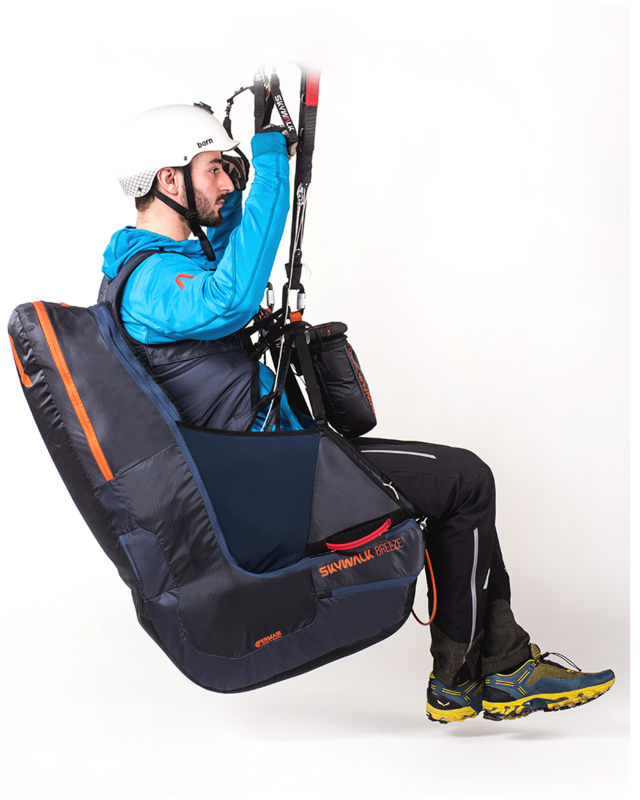 The Force Application System, which is activated by the leg loops, means that the glider can also be actively guided into curves with your legs as well as by shifting your weight. 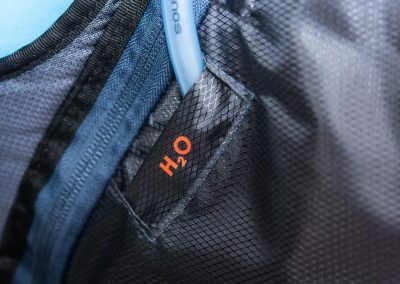 Compared to conventional looped harnesses the BREEZE has an enclosed, slim silhouette, which positively influences the aerodynamics. What should I pay attention to when installing the speed system? When reassembling the speed system, carefully follow the steps in the manual. 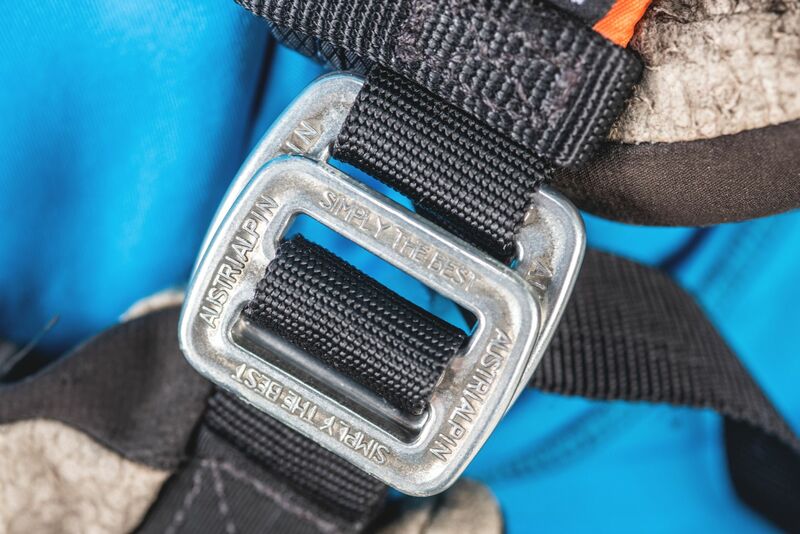 When adjusting the length, make sure that the pulleys on the risers abut each other when the pilot, seated in the harness, operates the second step of the speed system with legs extended. This helps you achieve the full acceleration potential of your paraglider and make sure that your legs don’t tire so quickly on a long valley crossing. What size BREEZE is right for me? 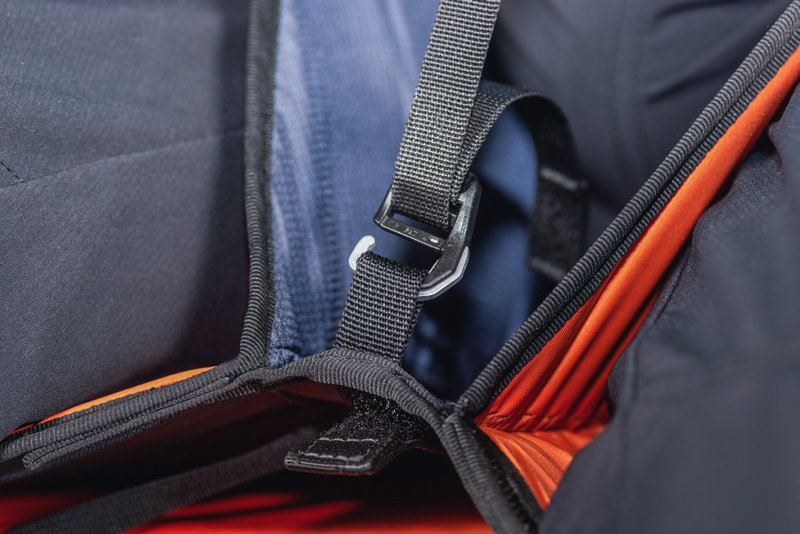 First and foremost, the size you choose should allow you to sit comfortably in the harness. In the middle of a size-range indication, your height can determine up to 70% of which size you should choose. If your height puts you in between two sizes, the table should give you enough information to help you with your decision. 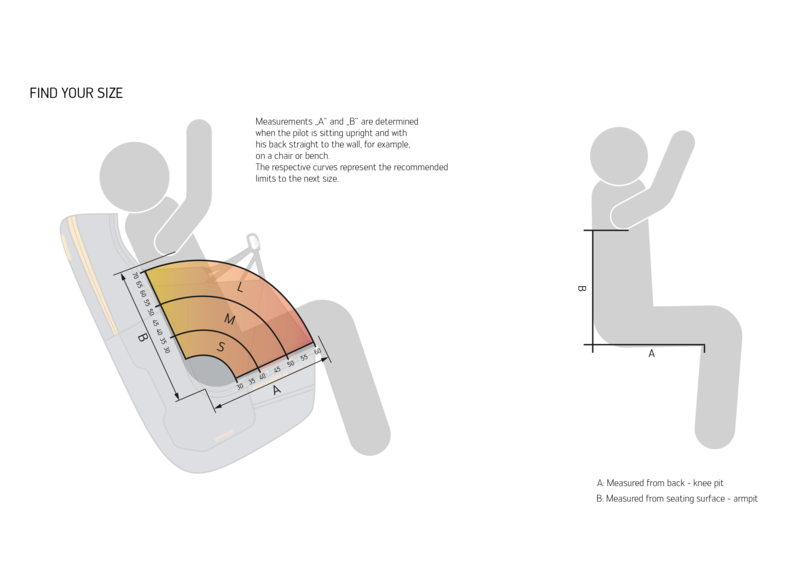 For this you will have to measure your body as indicated and read how you would sit in the harness. If you are still between sizes — because you have very long legs or a long upper body, for example — you will need to rely on your personal preferences. Some pilots prefer more support in the leg area and others more support in the back area. 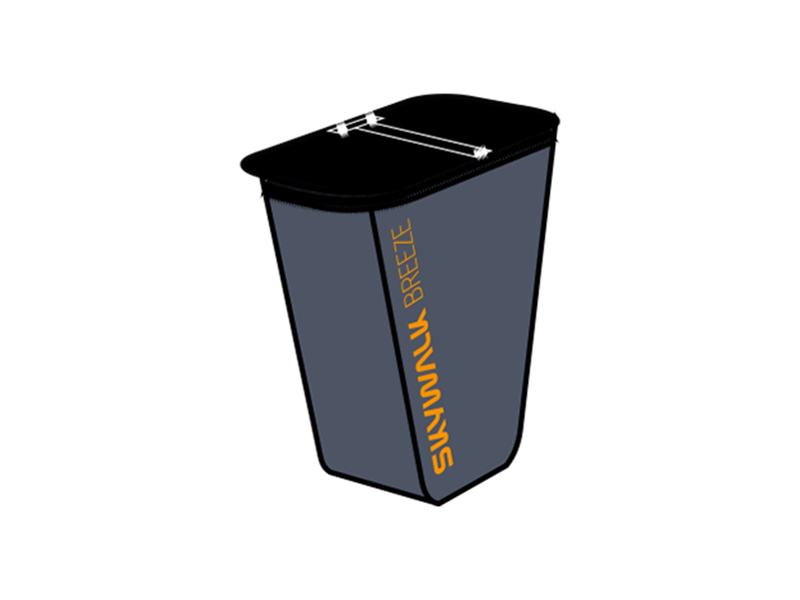 If you are still unsure, you can also sit in the BREEZE beforehand at your skywalk dealer! How firmly does the PermAir protector have to be inflated? The human lung can achieve about 0.2 bar of pressure. This pressure should not be exceeded. No more than 3 seconds should pass between inflation and closing the inflation valve. 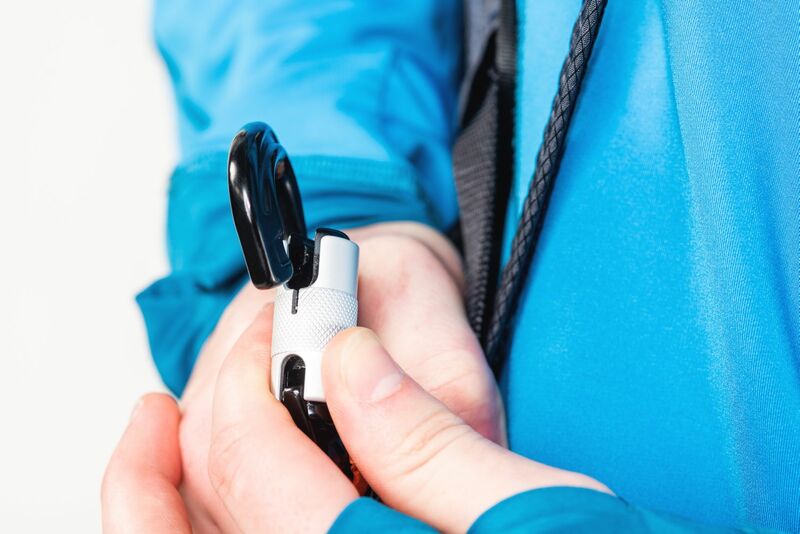 If there is a large difference in elevation between the start location and the landing site, you should always make sure to fill the PermAir protector to the maximum recommended pressure. Attention: The PermAir protector may only be inflated with the included Inflation Bag or by mouth! Never inflate with any other type of pump (bicycle pump, electric pump, etc.)! 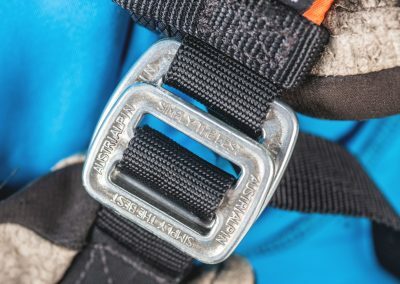 Why frame buckles and no "automatic buckles"? 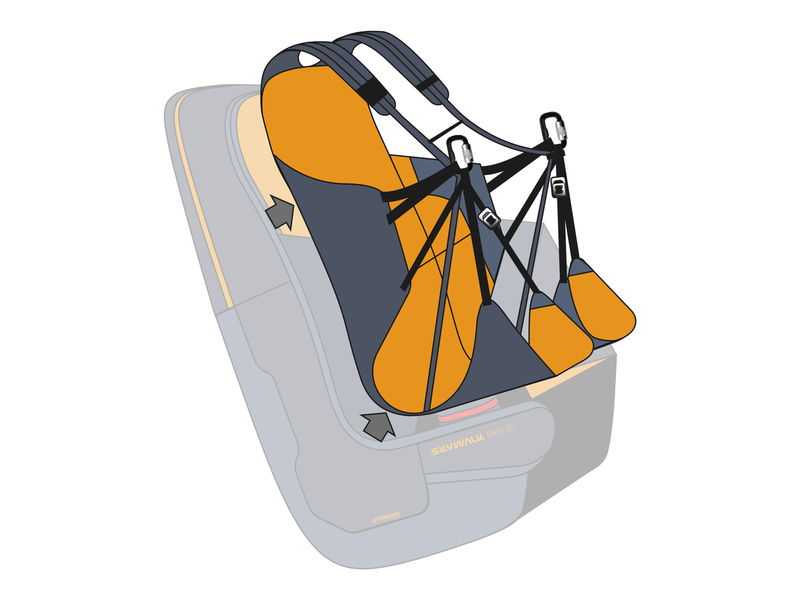 The BREEZE is a seatboardless leg-loop harness for which the design requires permanent friction closures on the leg loops. Conventional “automatic buckles” would be put under a lot of strain at these points and are therefore completely unsuitable. 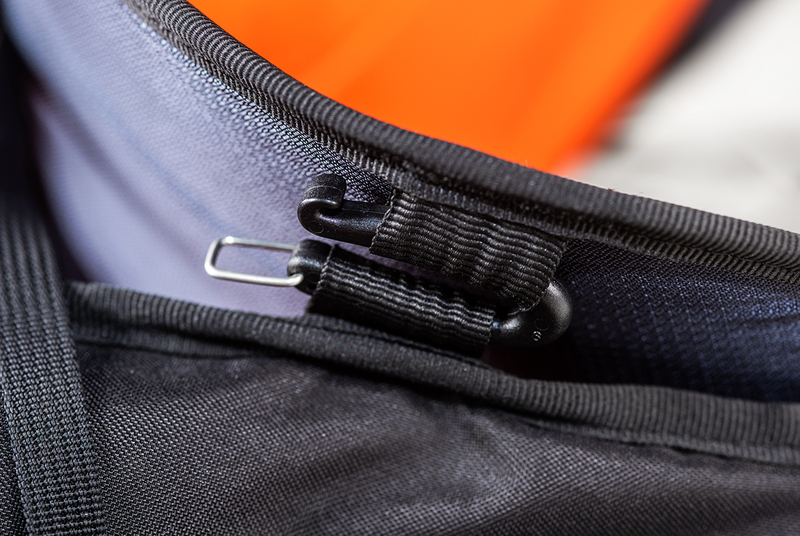 For the safety of the pilot, we have chosen to use AUSTRI ALPIN frame buckles on the BREEZE, which offer a permanent friction closure and prevent faulty operation. 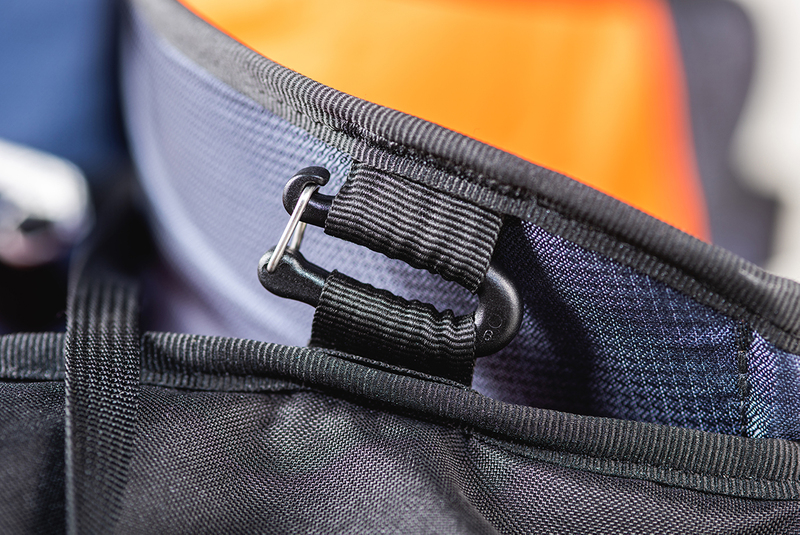 The opening and closing is done with an easy-to-use 25 mm webbing, which leaves enough space to put the frame buckles into each other.